April 7 is Francesco Selmi’s birthday. Selmi was an Italian chemist who is considered one of the founders of colloid chemistry and forensic chemistry. Selmi’s research looked into the behavior of silver chloride, prussian blue, and some sulfur compounds in colloid solutions. He described the difference between “true solutions” and “pseudo-solutions” of compound mixtures. Selmi was also distinctive in introducing the term “ptomaine” to toxicology. Today, ptomaine poisoning is just food poisoning caused by bacterial exposure. In Selmi’s time, a person was listed as “poisoned” if any poisonous substances were found in their entrails after death. Selmi believed this to not be necessarily a guarantee of poisoning just because something toxic was found in the body. He showed a cadaver would produce “ptomaìne” or toxins if left alone long enough. This research led to his appointment as head of a newly created branch of the Ministry of Justice which dealt with forensic sciences. Selmi was greatly involved in the Unification of Italy in the late 1840s. He was outspoken enough for the Duke of Modena to sentence Selmi to death. Selmi fled to Turin and met with other exiles to become the founders of the National Society for the Unification of Italy. Selmi would return to Modena after an uprising caused the Duke to leave to arrange elections and help create political stability to the region. He would also be instrumental in Modena’s annexation to the Kingdom of Sardina which would become unified Italy. All this political action did not deter him from his chemical researching. He continued to publish papers and books during this time of his life. 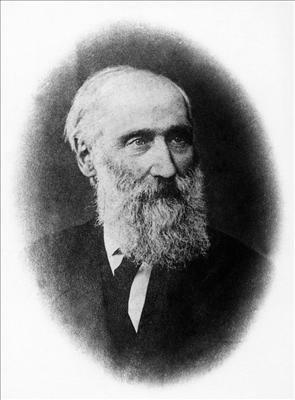 He produced the Enciclopedia di chimica scientifica e industriale, an 11 volume encyclopedia of chemistry. This was the first chemistry encyclopedia published in Italian. The World Health Organization sponsors World Health Day on April 7. Each year, a new topic covering topics associated with health care and health issues is highlighted to raise awareness for their topic of the year. 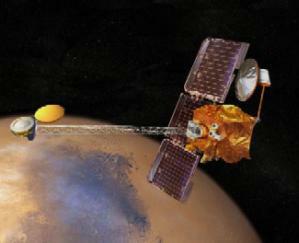 2001 – Mars Odyssey launched. NASA launched the Mars Odyssey probe to Mars. The Odyssey would arrive at the red planet on October 24, 2001. Its mission is to orbit and map Mars while relaying data from the surface rovers back to Earth. It is expected to continue operations until it runs out of propellants in 2025. 1899 – Louis Frederick Fieser was born. Fiesser was an American organic chemist who was the first to synthesize vitamin K. Vitamin K is a fat-soluble vitamin necessary for the coagulation of blood as well as binding calcium to bones. He also synthesized many different quinones for use as antimalarial drugs. He is also known for the invention of the military weapon, napalm. He led the team which produced the flammable and sticky liquid in 1942 in a secret laboratory at Harvard University. 1859 – Jacques Loeb was born. 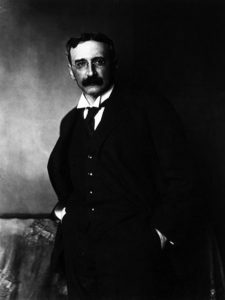 Loeb was a German-American physiologist best known for his experiments on parthenogenesis or reproduction without male fertilization. Loeb managed to artificially cause sea urchin eggs to develop by slightly changing the chemistry of the water. 1823 – Jacques-Alexandre-César Charles died. 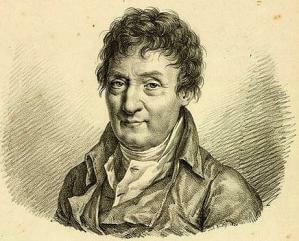 Charles was a French physicist and inventor who described the relationship between the volume and absolute temperatures of ideal gases known as Charles’s Law. This special case of the ideal gas law states as pressure remains constant, if the volume increases, the temperature of the gas will decrease. If volume decreases, the temperature of the gas will increase. He also built the first hydrogen-filled balloon and the first manned hydrogen-filled balloon. 1817 – Francesco Selmi was born. 1816 – Christian Konrad Sprengel died. Sprengel was a German theologian and botanist who was the first to describe the mechanics of pollination in plants. He observed how insects would transfer pollen from the stamen of one flower to the pistil of another. He also coined the term dichogamy to describe the process of maturation of the male and female parts at different times.